New Hampshire Rail Trails, by Charles F. Martin,2nd edition, 2016. 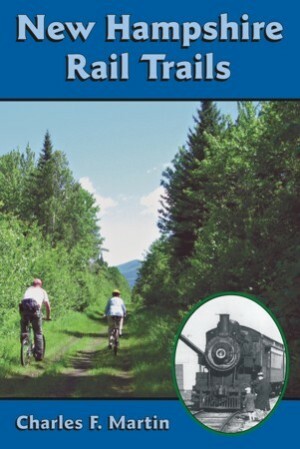 This fine guidebook blends railroad history with thorough descriptions of 48 rail-trails all across the Granite State. For each trail there is information on history of the line, trail surface, scenery, permitted uses, and historical artifacts visible along the way. Includes 180 photos and 95 maps. 320 pp., 6" x 9".